"Mike Mentzer Training - Zero Sets, Sticking Points and Moon Walks"
How can a reduced volume routine blast your bodybuilding into the stratosphere? Mike Mentzer training has a finger on the firing button. What is the optimal number of sets to grow bigger and stronger muscles? One set per muscle group? Two sets? More? 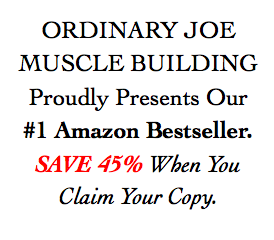 "Ideally, growth would be stimulated with zero sets," says HEAVY DUTY author and bodybuilder Mike Mentzer. "Then none of the body's limited recovery ability would be used for recovery; it would all be used for growth production, and you'd grow so fast as to stagger the imagination." A workout that exercises all of the major muscle groups with the fewest total sets will produce a minimal inroad into recovery ability. Training with a reduced volume not only preserves the body's limited recovery ability, but puts a stop to sticking points. Mike Mentzer said how if scientists could send a man to the moon and bring him back safely each time, then we should be able to succeed with every one of our missions to the gym here on earth. Moreover, building bigger muscles should be a cake walk when compared to a moon walk. So how did Mentzer propose to guarantee growth with each mission to the gym and do away with sticking points? By focussing on compound movements, Mentzer would create a consolidation routine that reduced volume; stimulated muscle growth; and made minimal inroads into recovery ability. 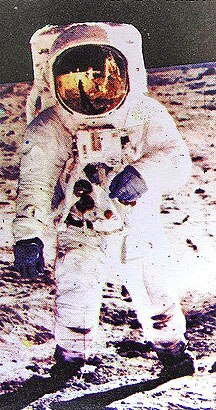 Much like Neil Armstrong's "giant leap for mankind", this shift in emphasis to compound movements would provide a similar giant leap for High Intensity Training. A routine that focusses on multiple muscle group exercises such as the squat, dip and deadlift, reduces the risks of overtraining while facilitating the need to lift progressively heavier weights from workout to workout. This is critical. For just as surely as you lift heavier weights, the stresses on your body also grow progressively greater. The first symptom of this will be a slow down in progress (sticking point) - yet Mentzer avoids this with extra rest days and a significant reduction in training volume. Indeed, "Sticking points are NOT inevitable!" stresses Mentzer, once the fundamentals of intensity, frequency and volume are observed. The importance of these fundamentals were spotlighted in the following experiment by the editor and publisher of Muscles in Minutes, Dave Sears. In an attempt to determine the optimal hardgainer training "dosage" and jumpstart his strength and muscle gains, Sears would show what was achievable with a super consolidation routine. Further reductions in training volume are often required to facilitate recovery and the muscle growth process. Workout C: Squats (1 set). Guess what happened next? After seeing no gains in the previous 8 months, Sears would increase his strength in EVERY single workout for the next 10 weeks. Sears would excitedly report: "I was especially amazed since one of the exercises (pull downs) I had not increased in strength in 2 years!" So having previously considered his days of strength increases to be gone forever, Sears would, just like our moon-walking astronauts, launch his gains high into the stratosphere. Can Mike Mentzer training do the same for you?